Interior designers have an eye for spaces; planning, designing and coordinating the intricate details that facilitate in creating the ultimate aesthetic. Whether you’re blessed with the flair for styling or need a little bit of guidance, we’re here to assist with your project! Scandinavian design focuses on functionalism and simplicity. With its minimalism characteristics, this style is a cost-effective approach that will endure trends over the years to come. Connotations of well-being and productivity are projected in the elements of brightness, ventilation and clean lines that the style boasts. For your chance to swiftly attain your interior nirvana, follow our guide for the accent pieces you need! To secure a welcoming homely feel, choose warm and cosy textiles. For those who favour plenty of visual depth, opt for accent pieces in mohair, wool and sheepskin fabrics to bring texture into the home. This may include throws, cushions and rugs and it’s recommended to mix and match the fabrics for subtle dimension, especially if you’re choosing one colour group to work with. When selecting blankets or throws, adopt neutral tones of grey, natural textures, and muted hues, like pale purple and pink with cool undertones. These shades are timeless and versatile, so can be transitioned to match your future refurbishments and restyling. 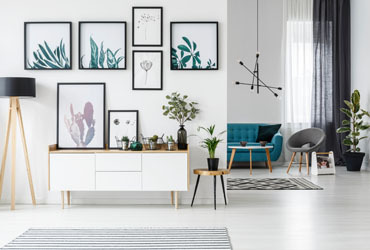 Scandinavian designs continue to trend among bloggers and interior enthusiasts. The great thing about a minimalist style is the opportunity it gives to experiment with accent pieces and features in your décor. The simple aesthetic of your space will enhance the stand out features and for a truly luxurious look, focus on the quality of the accent pieces. Embellish your doors and cabinets with high-quality hardware to showcase your attention to detail. 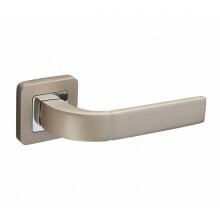 Choose door handles in the champagne satin chrome finish with a touch of polished chrome for its’ unique and high-end aesthetic in contemporary homes. The gentle curve of the lever offers comfort in hand whilst the rounded corners of the square rose appears soft and subtle. Alternatively, you may choose to match the grey tones of your small furnishings with the door handle. 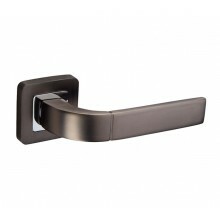 In this case, choose the duo black and polished chrome finish door handle for its exclusive and distinctive appearance. Consider the legs and circumference rim of your coffee table by choosing a metal hue to match your door hardware. The continuity of tones in both metal and non-metal elements throughout the property will showcase your consideration and meticulousness. 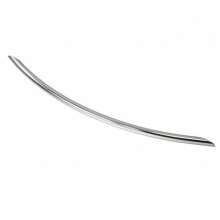 Impress your guests and family members with elegant cabinet handles that feature a smooth bow design completed with a highly reflective polished chrome finish. When light floods through your windows on bright sunny days, the reflective surface of the cabinet handles will cause the beams to bounce off and further reflect off the internal white walls, giving the effect of a larger space. An interesting alternative to metal light fixtures is paper lantern lights. There's an elegant and ethereal feel to giant paper lanterns, creating a whimsical overhead installation in kitchens, lounge areas and studies. Fit paper lanterns in groups of 4, draping at varied lengths from the ceiling to add to the room’s visual depth. Greenery is an important aspect in Scandinavian homes, offering benefits of improved psychological well-being and physical human health. Indoor plants improve perceptions of the space; however, many are hesitant to the idea of real plants in fear of causing its premature death. Whilst artificial plants look appealing, they only offer an aesthetic benefit and there a many low-maintenance alternatives to living house plants that can withstand all types of neglect from dull winter days. The dracaena house plant is the ideal solution for someone with a busy lifestyle or residing in an inherently dark property. Highlight your efforts for maintaining the condition of the plant by displaying its verdure in an industrial inspired vase, crafted in a similar metal hue that complements your hardware and additional metal features. We strive to offer simple solutions for interior styling and showcase a variety of high-quality products that excel in both aesthetic and performance. For more interior styling inspiration, check out our previous blog 5 Tips for Achieving the Industrial Look.